Product prices and availability are accurate as of 2019-04-22 08:12:52 UTC and are subject to change. Any price and availability information displayed on http://www.amazon.com/ at the time of purchase will apply to the purchase of this product. 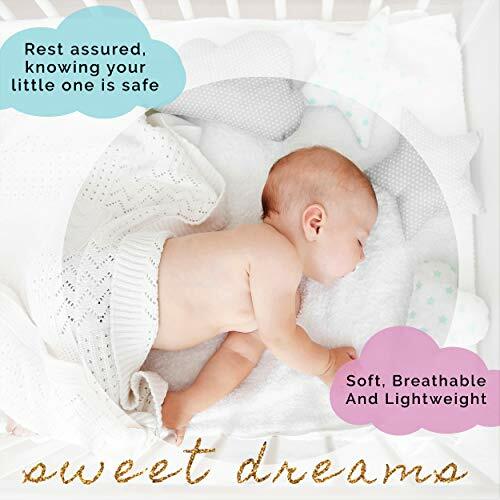 KinderSense ™ Crib Safety Tent - The superior way to protect your child while sleeping. 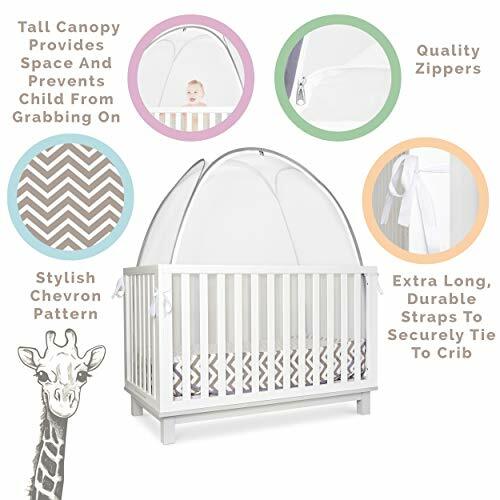 The KinderSense™ safety tent allows a child to safely sleep in his or her crib by creating a safe and enclosed canopy, which can only be opened from the outside. The bottom trim of the tent fits underneath the mattress, and the tent itself is fastened by four sturdy straps, allowing the canopy to stay firmly in place. The mesh fabric used in the tent ensures breath-ability and provides protection from mosquitoes and other insects. The tent could also be used to prevent pets from entering the crib. We designed it to maximize space, creating a snug perimeter around the inside of the crib and making a safe little "home" for your child. Impeccable design, crafted with every detail in mind, and quality above the rest. PREVENTS CHILD FROM CLIMBING OUT OF CRIB | No more losing sleep over fear of your child roaming around in the middle of the night! 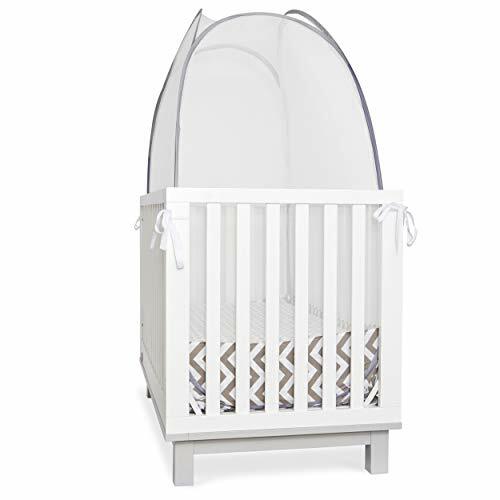 This crib safety tent will keep your little one safe and snug and in his or her crib. DESIGNED FOR FUNCTIONALITY AND DURABILITY | Our design and choice of high quality, premium materials makes this tent a step above the rest. The structure and fabrics in the tent were designed and tested to withstand wear and tear, and to safely keep a child in a crib. 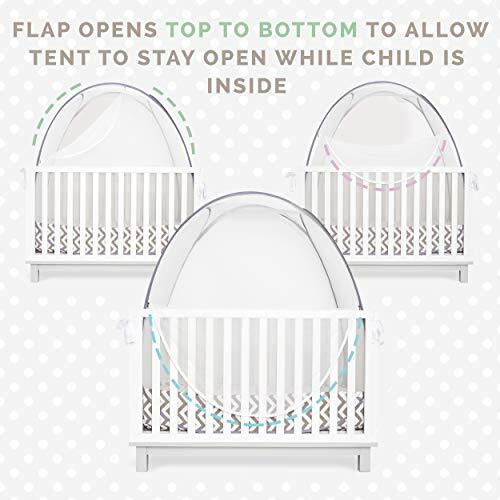 The tent fits the majority of cribs and maximizes space to ensure child's comfort. Made of breathable mesh fabric, along with a stylish cotton-blend trim which covers the height of the mattress. 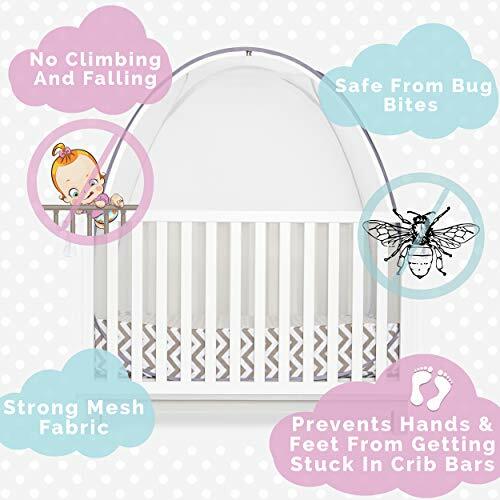 PROTECTS CHILD FROM MOSQUITO/INSECT BITES | Made from distinct hexagonal, see through mesh netting that has holes small enough to keep even small bugs out, yet strong and resistant to tearing. EASY INSTALLATION & STORAGE | Pop-up canopy design requires zero assembly, and installing into crib is a breeze. Four sturdy fastening belts on each corner keep the tent in place at all times. Tent collapses back down to fit into the storage bag and takes up minimal space. CPSC CERTIFIED SAFE | This tent and its materials were tested in an CPSC accredited laboratory and complies fully with all CPSC regulations. We are so certain you will love the KinderSense tent that we guarantee 100% Money back for 60 days, if you are not satisfied with it. No questions asked!